As of April 21st, 2015 Google is increasing search ranting for mobile friendly sites. 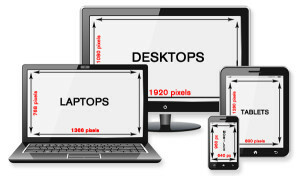 Make sure you have mobile friendly or responsive updates done on your website. Not sure if your site passes the test, check it on Google’s own Mobile-Friendly Test. To get your site updated with the latest mobile friendly or responsive styling contact me through the form or email below.